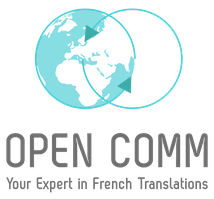 Open Comm offers you translation services from Germanic languages (Dutch, English, German) to French for all types of documents. Whether you need a data sheet, a presentation or an article, Open Comm is the solution for your translation challenges! Here you will find our references, the presentation of the company and of course the possibility to contact us. We're looking forward to working on a solution for your text needs.